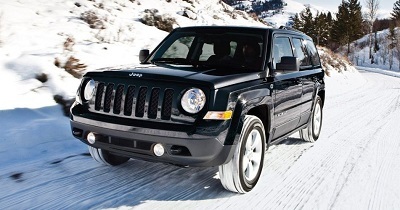 The 2016 Jeep Patriot shines in an ever-growing compact SUV market. Thanks to its attentive interior designs, all-weather exterior, and off-road capability, this model is able to meet the needs of those wanting to go on adventures. If you’re particular on style, vehicle strength, and comfort, then you may want to take a look at the 2016 Patriot at a Jeep dealer serving Las Cruces. Everything and everyone finds room inside the 2016 Patriot. Its cabin generously cedes enough space for five people and their luggage. You can lower the 60/40, split-folding, rear seats to stretch the cargo volume to 53.5 cubic feet. Comfy, soft-touch surfaces adorn the cabin, while a leather-wrapped steering wheel adds a lavish touch. The blog article originally appeared on VivaChryslerDodgeJeep.com blog page. Posted on December 21, 2016 by CedrickPosted in BusinessTagged cruces, dealer, jeep, las, shows.